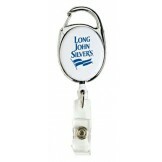 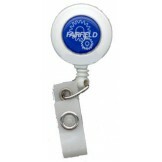 Custom Printed Badge Reel w/Clear raised Dome Label 2 Colors on White As low as 1.60 each Price In..
Carabiner Badge Reel Custom Printed 100-pack Custom Printed Badge Reel Pad Printed 1 color As low ..
New Custom LogoReel w.36" cord Imprint Area is 150% larger than standard reel 1-3/16" dia. 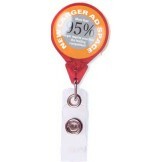 Price I.. 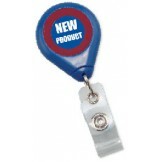 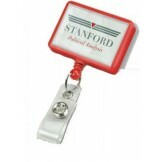 Premium Custom Printed Badge Reel 100 pack Minimum order 100 pack A durable badge reel w/36" cord ..